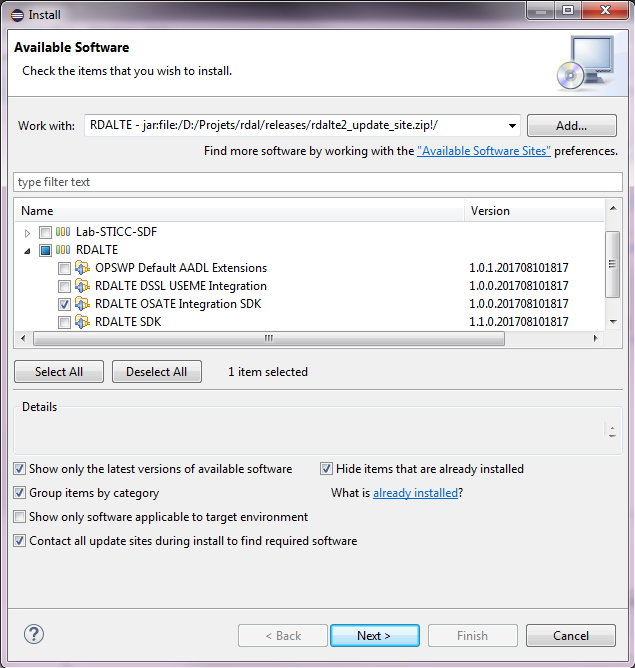 RDALTE can be used to model and analyze requirements for embedded systems by making use of the Open Source AADL Tool Environment (OSATE) for modeling the system architecture with the AADL language. First install the latest stable release of OSATE by following the instructions at http://osate.org/download-and-install.html. Use cases in RDALTE are modeled with the User Requirements Notation ITU standard. In order to be able to edit and simulate the use cases, add the jUCMNav tool to OSATE from the jUCMNav update site at http://jucmnav.softwareengineering.ca/jucmnav/updatesite/. 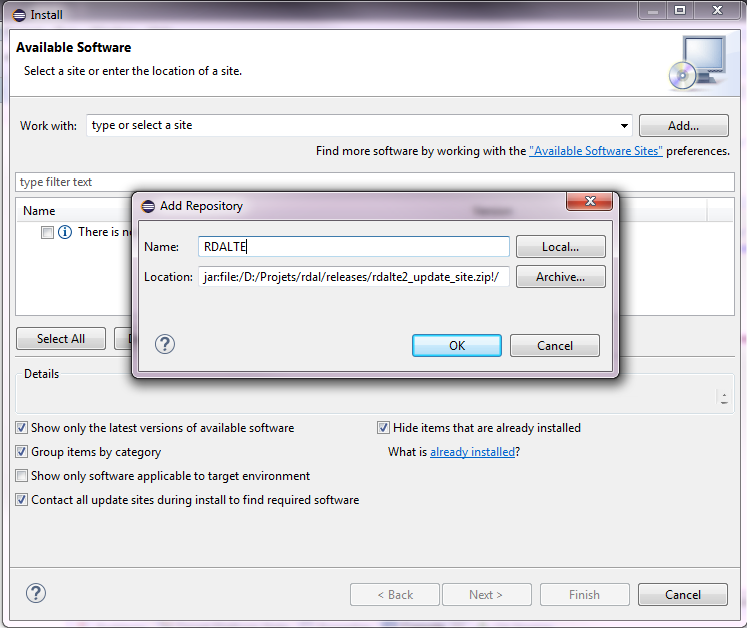 Then install the RDALTE extension for OSATE as shown below, click next and follow the instructions to complete the installation.